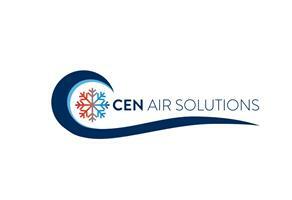 Cen Air Solutions - Air Conditioning based in Sompting, West Sussex. Hello and Welcome to Cen Air Solutions, we are a Air Conditioning and Refrigeration business based in Lancing / Worthing area and carry out a high quality service throughout the South East of England region. Our systems use the latest technology to cool your environment in the summer, and to provide comfortable heating in the winter! Cen Air Solutions is an F-Gas Accredited business with all of its employees fully F-Gas qualified, DBS checked. We can’t guarantee to be the cheapest – but we do guarantee to be the best. We pride ourselves on quality workmanship and a service that will save you money in the long run. Contact us today for free estimate and advice, we carry out both Domestic and Commercial work. Brighton, Worthing, Chichester, Portsmouth, Haywards Heath, Burgess Hill, Crawley, Eastbourne, Hastings, Horsham, Gatwick, Lewis, Tunbridge Wells and surrounding areas.